In Florida and along the Gulf Coast, we live in an area that is constantly at the mercy of weather – much of which involves damaging waters caused by torrential rainstorms throughout the year and hurricane season. Flooding is a genuine threat to both residential and commercial properties, so the need for coverage is even greater than in many other areas of the country. Unfortunately, while flood insurance claims seem a natural option in the event of flood damage, an actual claim can only be made by those holding true flood insurance policies. Flood insurance claims are often the only way for businesses and homeowners to recover after their property experiences the damages of a flood. Repairing the destruction and replacing lost items is extremely expensive – so much so that it is often insurmountable for anyone without proper flood insurance coverage in place. 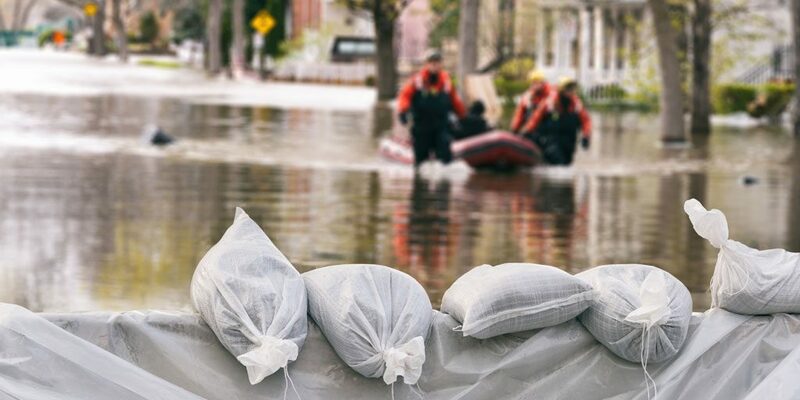 Contrary to common misconception, however, flood insurance is not only important to property holders in flood zones, it’s also important to any area, regardless of the seeming lack of known danger. Naturally, any building in a flood zone should have flood insurance. But even those not lying in flood zones still have the option of flood insurance coverage. At Beacon Insurance, we recommend that all of our clients consider their need for flood insurance regardless of whether or not their church buildings are in a recognized flood plain. We know that flooding can happen anytime, anywhere; and in the event that they have cause for making a flood insurance claim, that added protection is invaluable. If your church floods, standard insurance won’t cover the damage so you’ll need a flood insurance policy. This policy takes into account factors such as the value of the building as well as the amount of water damage. The government offers flood insurance policies through the National Flood Insurance Program, but those policies offer only coverage to a set limit. If damages exceed the limit, the church must either have the funds to offset the amount or have additional flood insurance in place to fully cover any additional flood insurance claims. However, flood insurance doesn’t cover the expenses of temporary relocation during the period over which the church building is under repair. When a building floods due to the intrusion of water caused by damaged roofs or even failed plumbing, the damage isn’t eligible for flood insurance claims. These instances would fall under property insurance, so we recommend that our clients familiarize themselves with the details of all their coverage plans before making any claims. It’s also important to realize that flood plains do change and evolve over the course of time. Just because your church wasn’t in a floodplain when it was originally built or even just a few years ago doesn’t mean it’s not currently in one. At Beacon Insurance Agency, our focus lies in providing churches, Christian schools and nonprofit organizations across the Gulf Coast with the specialized insurance options they need. The ministries we work with need expert advice, so we encourage that our clients take advantage of our partnership with GuideOne Insurance and its many invaluable safety resources. We work together in finding church package policies and other plans that protect their futures – no matter what they might hold. Call Beacon Insurance Agency to learn more about flood insurance claims today! Beacon lights your way to peace of mind. Contact us to discuss your policy and ensure adequate coverage.